When seeking answers to this question, most of us might have encountered a healthcare provider emphasizing the risk of aspiration. Medically defined, aspiration refers to the accidental entrance of foreign particles or substances (such as vomit, food or stomach fluids) into the lungs. This risk is particularly high in patients who will be placed under general anesthesia since they will be totally unconscious while the anesthetic is in effect. During the 1940’s, there is a notion that the intake of fluids by women in labor should be limited in hopes of minimizing the risk for aspiration. This is in case of delivery complications that may arise and the mother would need to be placed under a general anesthesia. Lowering the incidence rate of aspiration is the primary reason why there is a hospital policy about “nothing per orem” or no oral intake once the labor contractions begin. To minimize dehydration, women in labor are given intravenous (IV) fluids and are offered ice chips orally to relieve dry mouth and thirst. Good news for expecting moms! The American Congress of Obstetricians and Gynecologists (ACOG) recently ruled out the complications brought about by fluid intake during labor. Last 2009, ACOG released a statement regarding their take on allowing normal and uncomplicated women in labor to drink a modest amount of clear fluids. Knowing about this medical update is great, however, you cannot just grab a glass full of water and drink it while in labor. Check out your OB’s guideline on this as well as that of your chosen healthcare facility. 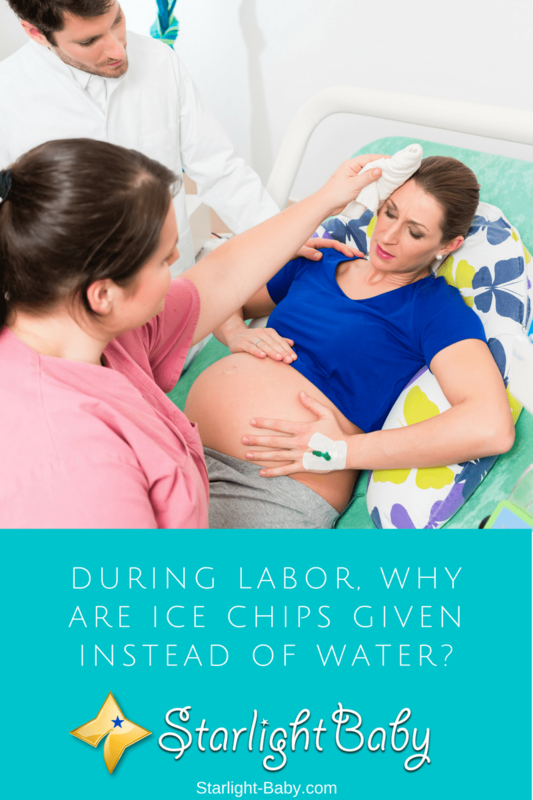 Certain hospitals or delivery clinics may allow you to have more than just a cup of ice chips while there are some which may not. Whatever their policy is, rest assured that it is for you and your baby’s safety.